CHERRY HILL — A proposed class action suit has been filed against the township alleging the red light camera at Route 70 and Springdale Road is unlawful. The complaint, which demands repayment for any motorist ticketed at the intersection, is to be followed by similar suits in other South Jersey towns, an attorney said. The state Department of Transportation recently ordered 21 towns to suspend ticketing because traffic lights at 63 camera-controlled intersections might not meet legal requirements. 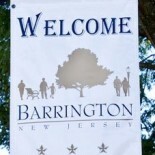 This entry was posted on June 30, 2012 by Barrington Bulletin in Business / Money, Crime, Region and tagged camera, lawsuit, red-light.